On May 1st, the Crown Office and Procurator Fiscal Service (COPFS) published their Guidance for Scotland on 'Intentional or Reckless Sexual Transmission, or Exposure to, Infection'. According to COPFS, the policy aims to "provide guidance to prosecutors but also provide clarity and consistency about this area of the law." As well as being helpful in Scotland, the guidance should also be a useful educational and advocacy tool for those many other jurisdictions around the world that prosecute alleged HIV exposure as well as transmission. where possible, COPFS has sought to reconcile our policy and practice with the policy in England and Wales. The CPS policy and guidance came about through a process initiated by key individuals from civil society although they are 'owned' and produced by the CPS. Like the CPS guidance, the COPFS guidance was advocated for by some of the same key individuals who were also consulted during the process. Unlike the CPS guidance, however, there was no public consultation. THT, which advocated for, and were consulted on the guidance, along with NAT and HIV Scotland, welcomed the guidance with cautious pragmatism. Catherine Murphy, Head of Public Affairs for the Terrence Higgins Trust, said: “Crown Office has a duty to prosecute criminal behaviour, but it also has a responsibility to ensure that the law is fair and fit for purpose. We hope this policy will provide greater clarity on a complex and highly sensitive issue. For good public health reasons people with HIV must be able to seek advice on sexual health issues without fear of being reported to the police. Nor should they be subjected to unjustified investigations because the law is vulnerable to misinterpretation by police and the courts. In a particularly positive development, the guidelines do not single out HIV for special treatment, unlike the dozens of HIV-specific statutes that exist and are enforced in the United States. Although the guidance has been broadly welcomed by civil society organisations working on HIV in Scotland (and elsewhere) they are a pragmatic response to an unwelcome situation. Guidance cannot change laws, but it can clarify uncertain aspects mitigating the harm of the overly-broad application of the criminal law. (However one area not covered in this guidance are prosecutions and enhanced sentencing for spitting, biting and/or scatching whilst HIV-positive. Scotland has had several of these recently, including this case reported today). 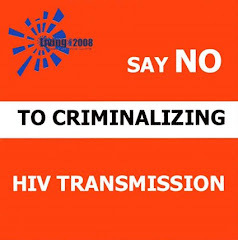 There is no legislation that specifically criminalises sexual HIV (or other STI) transmission in Scotland. Although it is possible to prosecute alleged intentional transmission as assault, all cases so far have been for 'reckless' exposure or transmission under the Scottish common law offence of ‘culpable and reckless conduct’. Until the guidance was released yesterday it was unclear whether disclosure in the absence of condoms could be seen as a legitimate defence to accusations of 'culpable and reckless conduct’ (for alleged sexual exposure or transmission) because Scots law does not recognise consent as a defence to an assault charge. The guidance has now clarified that prosecutions "will be unlikely" if disclosure of known HIV-positive status has taken place. Download 'Sexual Transmission or Exposure to Infection - Prosecution Policy' from the COPFS website.